The addition of active flow control devices, such as synthetic jet actuators, on three-dimensional aerodynamic surfaces (i.e. vertical tail, wings, etc.) can lead to significant flowfield modification for beneficial improvements in aerodyanmic performance. 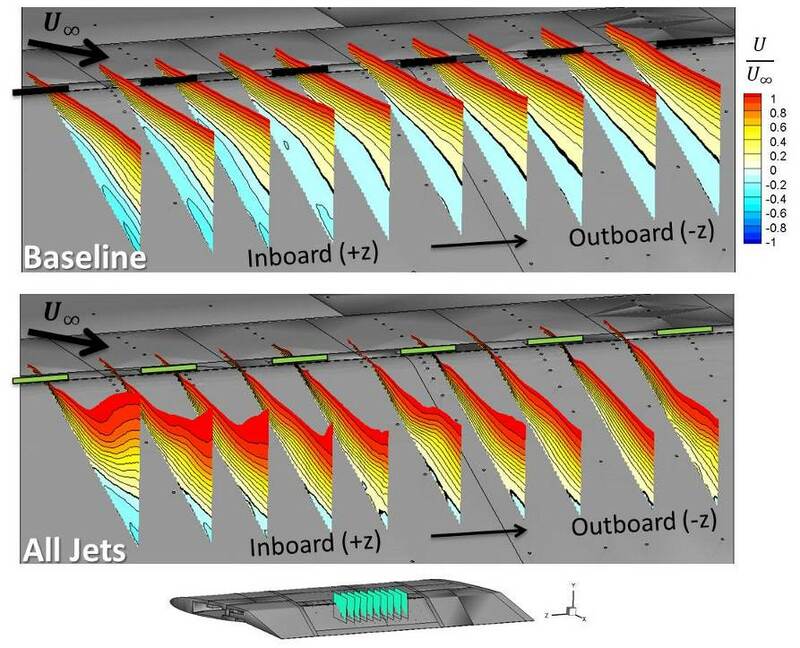 Previous work by Dr. Nicholas Rathay and collaborators on this project focused on augmenting the side force generated by synthetic jets through separation control on scaled vertical tail models. Since commercial airplane tails are sized based on a single engine failure situation, they are larger than necessary for normal flight. With the use of active flow control, the size of the vertical tail can be reduced and similar control authority maintained, resulting in decreased weight, drag, and corresponding fuel costs of the airplane. 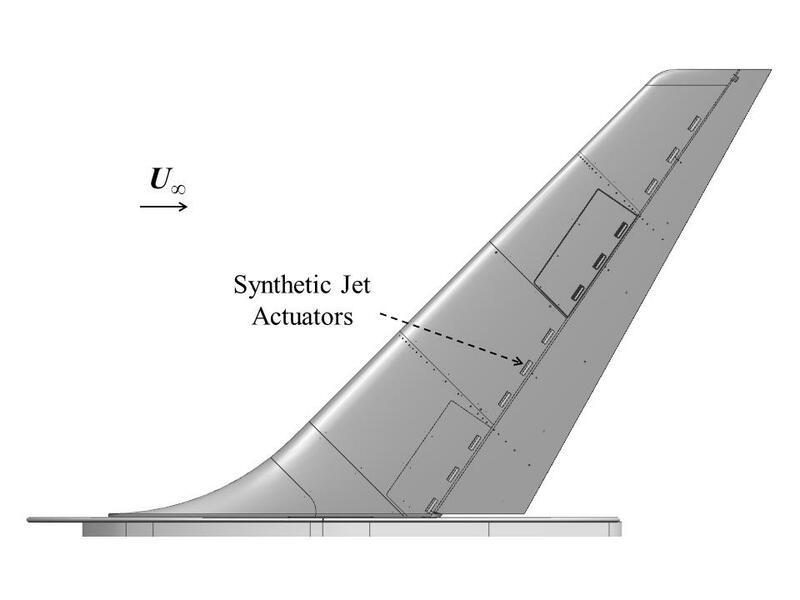 The prior work on this project investigated the effects of various parameters on side force enhancement and showed a significant increase in side force coefficient is attainable using synthetic jet actuators. Current work aims to further understand the fundamental interactions of the synthetic jets with highly three-dimentional crossflows. Research is focused on gaining a greater understanding of the sensitivity of the resulting aerodynamic force to certain parameters and investigating the related flow physics.